Meet Sara Goldberg: Team BIEC welcomes a new member! | What The BIEC? Meet Sara Goldberg: Team BIEC welcomes a new member! Hi! My name is Sara Goldberg and I am very excited to be the newest member of Team BIEC, as alumni and outreach coordinator! 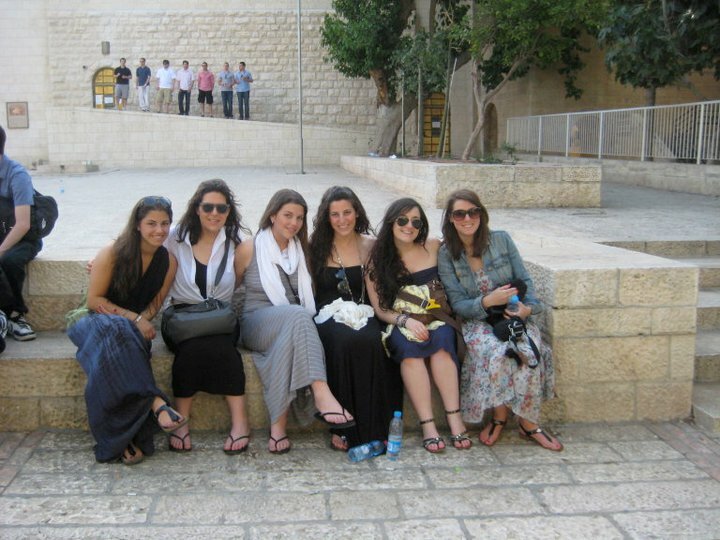 I went on Birthright Israel in May 2011 and had an amazing, life changing experience. The combination of meeting new people along with the beauty of the country and the amazing activities made this trip unforgettable. My madrichim, Sam and Jeremy, played a huge role making this experience memorable, always going above and beyond in planning activities and our itinerary. Since I had been there before, I went into the trip not expecting it to change me, or my outlook on Israel, however, this trip made me see Israel in a whole new light. One of our incredible activities included hiking Masada. We were fortunate enough to climb along side 100s of soldiers completing their 1st Tekes (first initiation to get their beret), which included a 45 km overnight hike through the desert. We only joined them for the last leg of their hike, up the roman ramp. To our good fortune, most of these soldiers were English speakers who had made Aliya, so we were able to talk to them, cheer them on and ask some questions. Cheering the soldiers on as they helped each other up the mountain, exhausted from the previous 8 hours was remarkable. 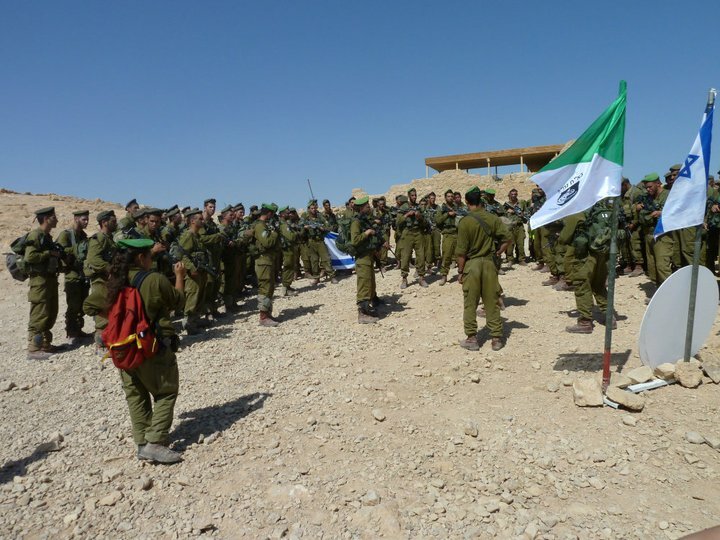 At the top, they assembled in the standard Chet army formation and sang Hatikvah, the Israeli national anthem. I had chills as I watched these soldiers stand up straight, carrying their back-breaking bags and sing. This was the moment I saw the purest form of love forIsrael and the sacrifice so many make in order to keep our homeland safe for trips like Birthright Israel to come and go freely. I spent the rest of my summer working at a Jewish camp in Spain. The goal of the camp is to unite Jewish youth from around the world, including Italy, France, Norway, USA, Morocco,Israel and more. With all their different lifestyles and languages one common characteristic was their love for Judaism and Israel. This experience, along with my Birthright Israel trip inspired me to apply to BIEC’s MIT (Madrichim in Training) program in August. Both experiences taught me the importance in Jewish unity and the Jewish community at large, in addition to the impact that Israel has on an individual. I knew it was something I wanted to get involved with to ensure that future Birthright Israel participants would have the same incredible trip I had. Through this program I was able to work side by side with Sam and Jeremy, in a year long leadership development program, to ensure that if I were to lead a Birthright Israel trip, I’d have the necessary tools to give my participants the same great experience that Sam and Jeremy gave me. A few months into the program, a position opened up at BIEC and I jumped at the chance to be part of a team that enables so many participants to create lasting relationships between individuals, the community, and Israel. I am eagerly looking forward to meeting new people and working with everyone in the office in creating fun and enriching events and leading a trip to Israel this summer! Please feel free to contact me with any ideas you may have and we can work together in making them happen! Sara Goldberg is the newest member of Team BIEC and is incredibly excited start working with Birthright Israel alumni and other members of the Montreal Jewish community. Feel free to contact her at sara.goldberg@bjec.org. Posted on March 6, 2012, in Birthright, Community, Feel-good, Israel, Madrichim in Training, Team BIEC and tagged Birthright Israel moment, Jewish Identity, Sara Goldberg. Bookmark the permalink. Leave a comment.